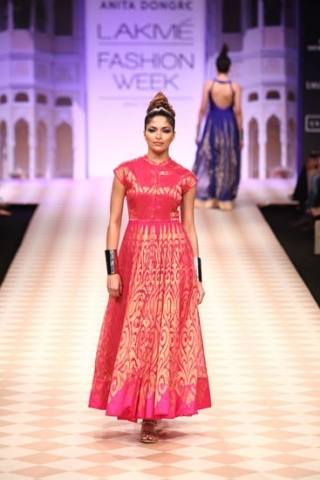 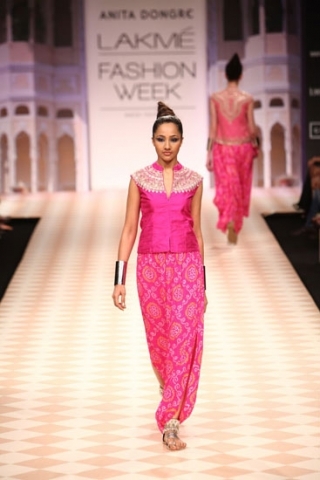 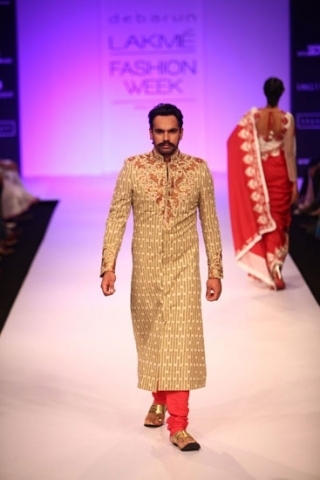 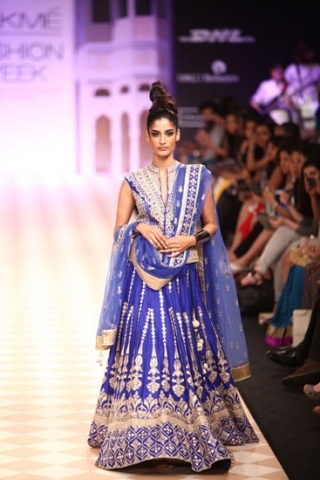 A packed day at Lakme Fashion Week, Day 2 had a large number of designers showing but only a few really caught my eye. 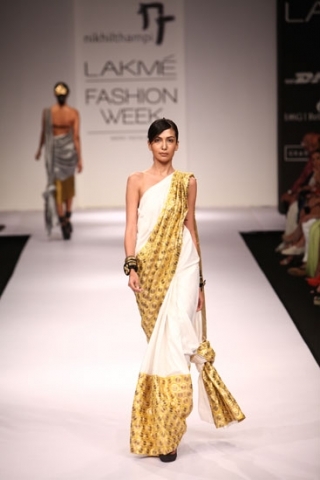 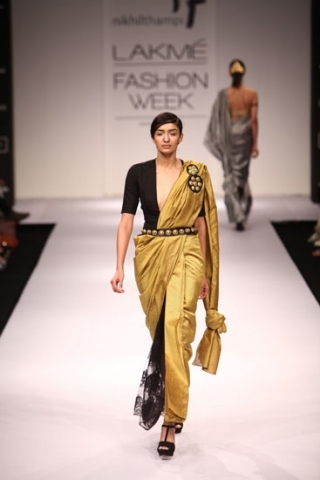 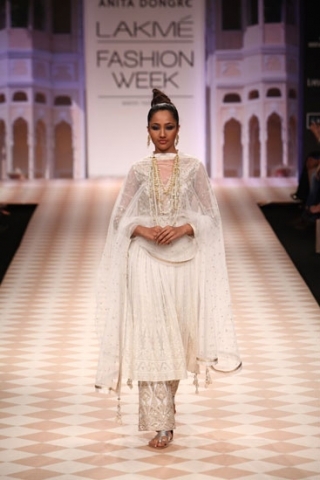 With a different take on Indian wear, Nikhil Thampi showed a strong monochromatic collection with metallics. 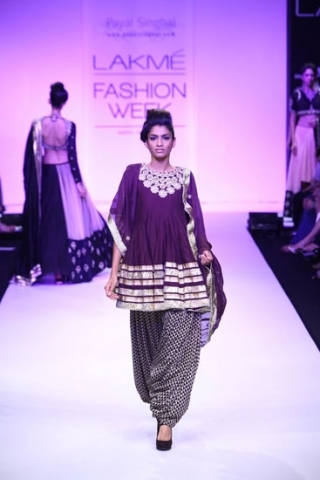 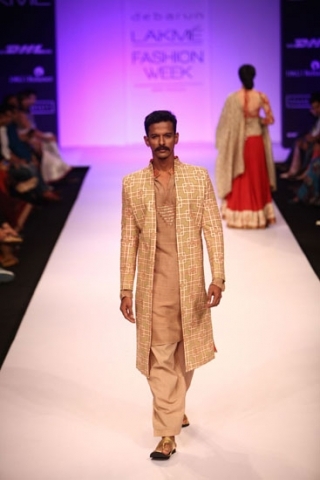 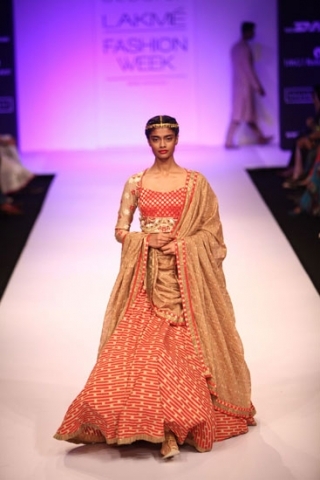 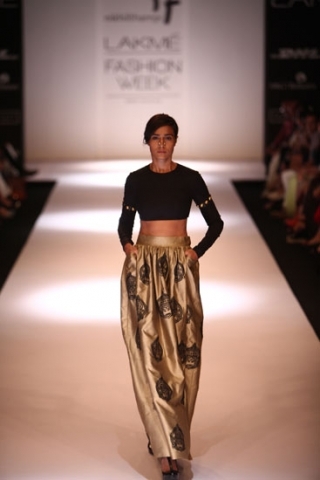 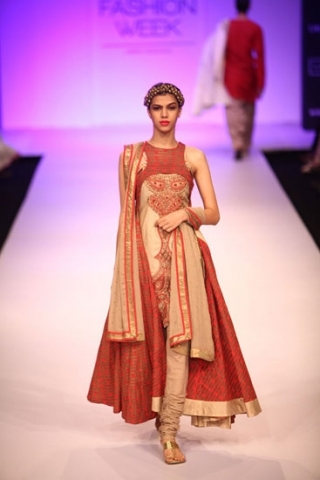 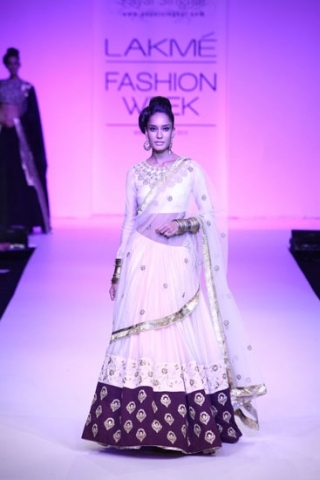 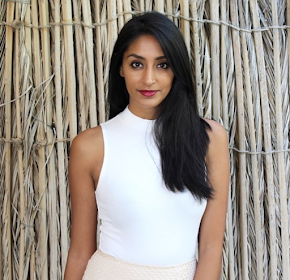 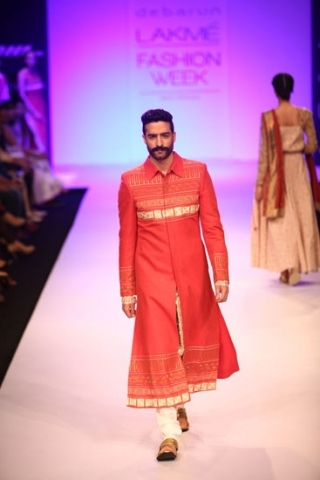 Mixing in crop tops, asymmetry, wrapped skirts and tops, and knotted pallus, Nikhil gave a modern touch to these pieces. 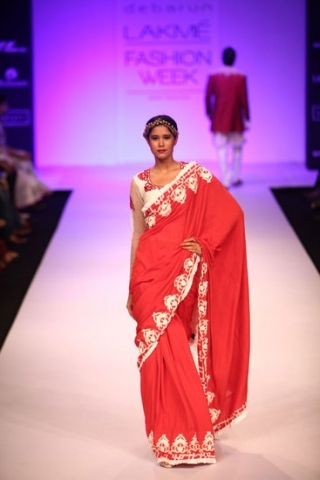 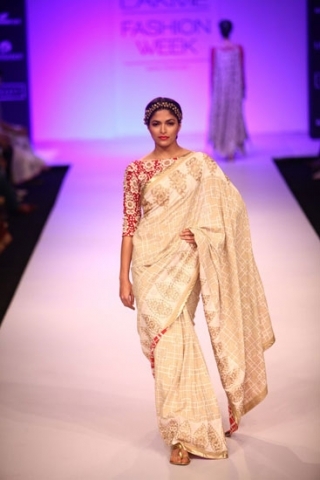 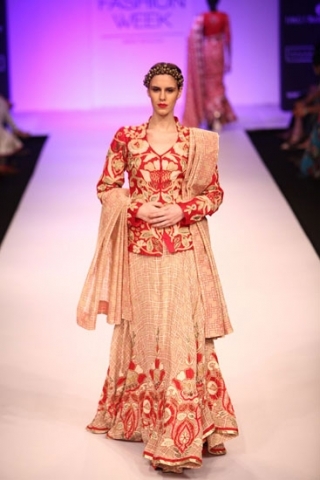 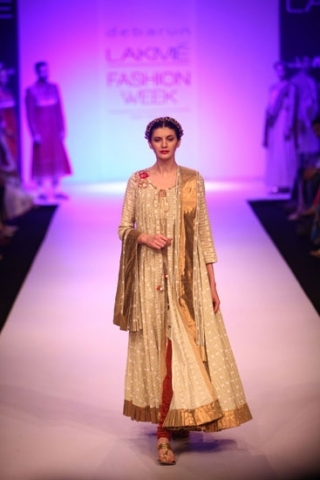 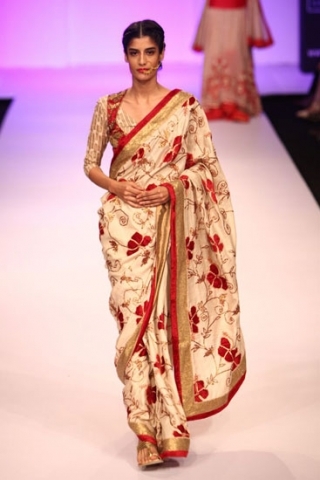 Using more traditional prints, Debarun has created a beautiful and feminine collection using floral prints, red and gold tones, and soft neutrals. 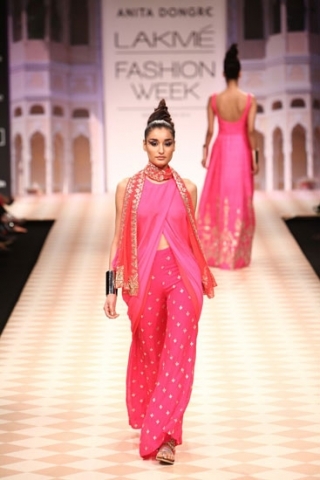 I really see the understated colours making a strong comeback. 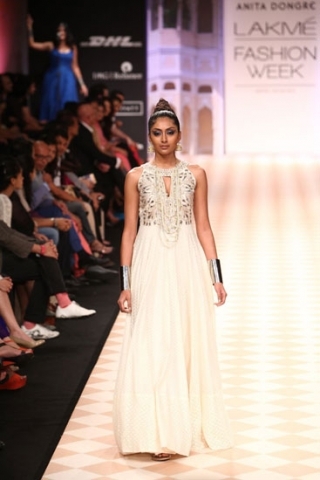 Always with a strong fusion touch, Payal Singhal tends to create very trendy pieces using many different western elements throughout. 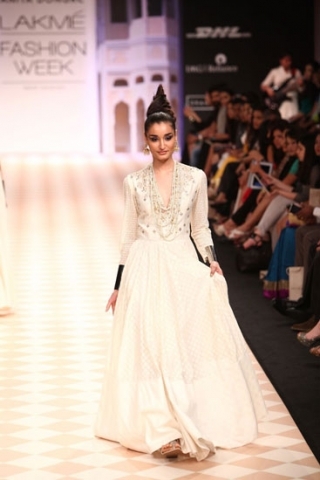 One of the strongest trends for 2013 in western wear is monochrome, and this is seen through out Payal's collection. 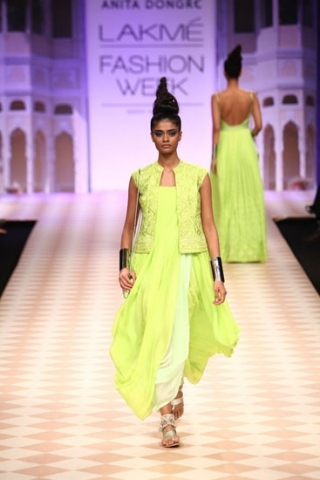 A beautiful collection, we're seeing colour blocking with bright colours rather than combining and contrasting pieces with different tones. 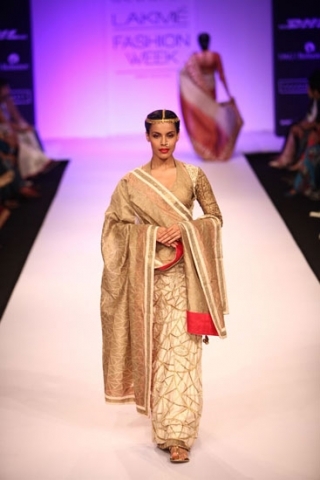 Again, as we have seen with other collections, there is a strong use of metallics throughout. 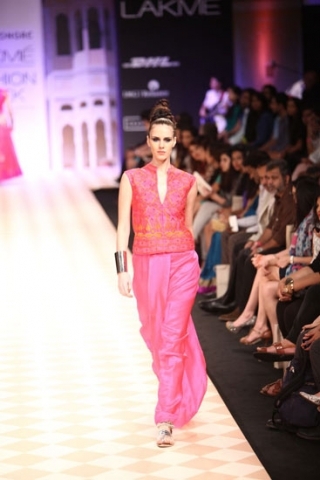 Some pieces only have a small amount where as others have used quite a bit. 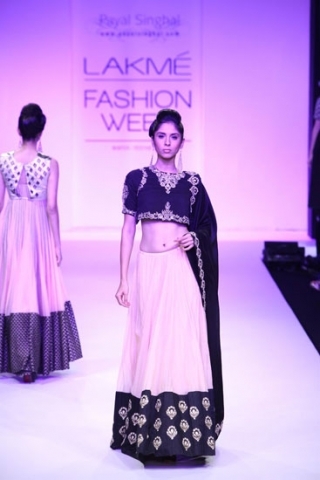 Which collection stood out the most for you?